Prohealth has rolled out an internal programme that rewards staff loyalty and celebrates its employees’ achievements within the company. The scheme was implemented in December 2018 during the Christmas office party, where employees who have worked with the company for over five years were recognised by management for their contributions towards the company’s success. Prohealth is a leading supplier within the Maltese pharmaceutical, dermo-cosmetic and medical equipment market. The company imports and distributes a wide variety of healthcare products to local pharmacies and government health services. 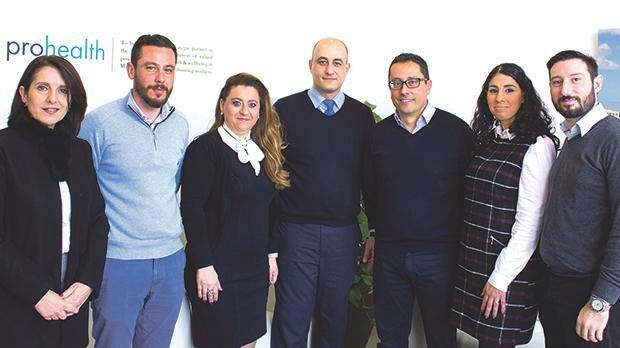 Seen here are employees who have been working for Prohealth for 10 years and longer, from left: Jackie Vella, Kenneth Ellul, Cher Santospagnuolo, Michael Montebello, Peter Apap, CEO, Ritianne Cutajar and Noel Saliba Thorne.